What is a manual timepiece? How much do manual timepieces cost? Manual watches are often slim with classic designs, and many renowned manufacturers offer a variety of mechanical timepieces. Cult watches such as the Omega Speedmaster Professional Moonwatch still have a caliber which you must wind by hand. A manual winding watch is also known as a mechanical watch, meaning you must wind it yourself to power it. A mainspring is used to store energy in mechanical watches. Unlike an automatic watch, manual watches do not wind themselves while they're being worn. However, many automatic movements can also be wound manually. How often you have to wind your watch depends on the number of barrels, the length of the mainspring, and the balance frequency. The higher the oscillation system's frequency, the faster saved energy is used. Using longer or multiple mainsprings allows for longer-lasting power reserves. 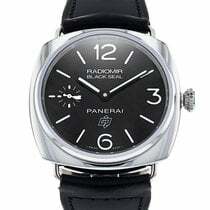 An example of a men's watch with a relatively high power reserve is the Panerai Luminor 1950 10 Days GMT Acciaio, which can run for 10 days before needing to be wound. 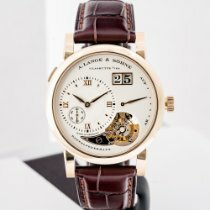 The Lange 31 from A. Lange & Söhne offers an incredible 31-day power reserve. Pre-owned, this wristwatch costs at least 65,000 euros. New and made of platinum, it costs around 130,000 euros. There are manual timepieces in every price range, from affordable watches costing only a few hundred euros to expensive models from famous manufacturers like Patek Philippe, which cost millions of euros. Although automatic watches, also known as self-winding watches, are very convenient and wind themselves, countless Swiss and German manufacturers continue to offer manual watches. 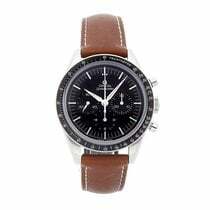 One of the most famous manual chronographs is the Speedmaster Professional Moonwatch, which was the first watch to reach the moon. You can purchase a pre-owned version for around 2,600 euros, while new watches cost around 3,000 euros. The manufacturer Panerai is well-known for manual watches with long-lasting power reserves . German manufacturers such as Junghans, Nomos, and A. Lange & Söhne offer manual watches. The cult brand Panerai is well known for their distinctive diving watches. Originally, the Italian company provided these watches to the Italian marines. Amongst their most famous models are the Luminor, which stands out thanks to its crown-protecting bridge. The Luminor variants are predominantly manual. The standard version, powered with the caliber OP I (based on Unitas 6497) has a power reserve of 56 hours. Models with reference number PAM01000 are available new starting at around 3,800 euros. If you want a wristwatch that can power itself for up to eight days, then the Luminor Base 8 Days Acciaio with the in-house caliber P.5000 is a good choice. New, this manual watch costs around 5,000 euros, though if you have luck, you could find it for less.